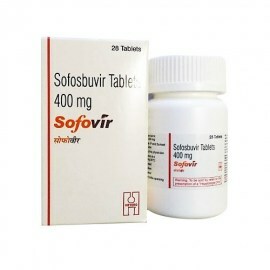 Sofovir (Sofosbuvir) is an antiviral medication that prevents hepatitis C virus (HCV) from multiplying in your body. Sofovir is used in combination with other medications to treat hepatitis C in adults and children who are at least 12 years old. Sofosbuvir (Sofovir) is a nucleotide analog inhibitor of hepatitis C virus NS5B polymerase—the key enzyme mediating HCV RNA replication. Sofosbuvir in combination with other antiviral medications reduces the amount of hepatitis C virus in the body and helps the body’s immune system fight the infection. The following information is meant for: Wholesalers, Suppliers, Doctors, Hospitals, Clinics, Resellers, Medical Institutions and Pharmacies.